I am a mother and a daughter and I just think it is a really special time for families. I love to treat my mum to nice, girlie things and when my children present me with handmade cards, handpicked flowers (usually daffodils from our garden) and wonderful skin treats, well... nothing quite like it is there? "At The Natural Soapworks we know how important Mum’s are. So on their special day they deserve some really special pampering. So we’ve put together some lovely gift sets, so for once they can have some time to themselves - to have a well-earned relax while looking after their skin at the same time." The individual products would normally cost over £30.00 - so this kit already enjoys over a 10% discount with FREE gift wrapping. Use your extra Fresholi coupon and it comes to just £24.30! · 2 luxury ‘Mother’s Day’ special edition bath bombs – fragrance co-ordinated to match the skincare items, patterned with botanicals. 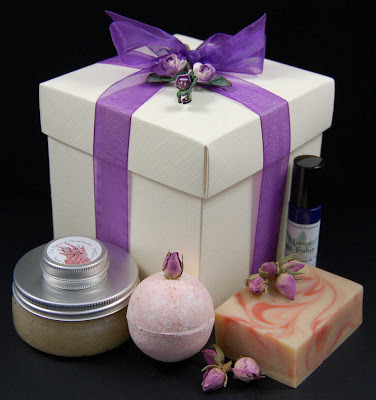 · Special edition Mother’s Day Goat’s milk soap – fragrance co-ordinated to match the skincare items. These are the first of a luxury range of Natroma soaps, featuring some of the more expensive essential oils and enriched with exotic butters and Monoi de Tahiti. Presented in a luxurious ivory hamper box with elegant flower decoration and an organza ribbon: Rose (burgundy ribbon), Orange Blossom (peach ribbon), Chamomile (cream and lime green). This is a lovely way to treat your Mum – this kit comes will full instructions on how to use the lovely Natroma facial products, which are handmade with luxurious organic ingredients including: hydrolat flower waters, botanical oils, rosehip, and arctic cranberry botanical extracts, D-panthenol and aloe vera. There’s also a luxurious goat’s milk soap and bath bombs for relaxed bathing - what better way to show how much you appreciate her? 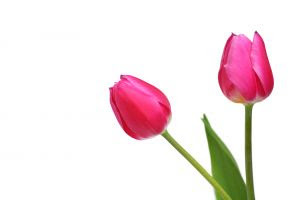 · Luxury ‘Mother’s Day’ special edition bath bomb. 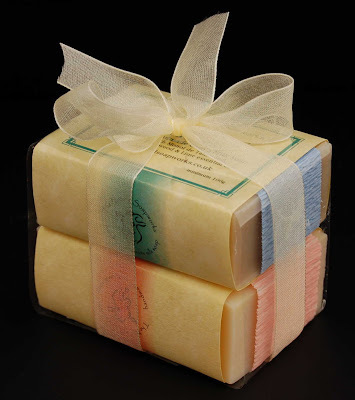 · Special edition Mother’s Day Goat’s milk soap and a scrunchie. · Dead Sea Salt Scrub – fragrance co-ordinated with the fragrance selection. This bathing kit will ensure your Mum can enjoy a long relaxing bath and enjoy using one of the rich, creamy special edition Mother’s Day goat’s milk soaps. The kit also includes a luxurious Dead Sea salt body scrub that’s enriched with botanical oils, honey, shea butter and vitamin E.
Used during bathing, it will refine the skin texture until it feels smooth and silky. For her hands, there’s one of our very popular Nail Silks, a cocoa and shea butter nail and cuticle balm which smells heavenly, since it is delicately fragranced with neroli, petitgrain and frankincense essential oils. Last but not least, included is some Monoi de Tahiti in a convenient rollerball bottle, for easy facial application. Two of The Natural Soapworks new luxury Natroma goat’s milk Mother’s Day soaps – Orange Blossom, Rose or Chamomile fragrances. These are the first of a new luxury range of Natroma soaps, featuring some of the more expensive essential oils and enriched with exotic butters and Monoi de Tahiti. These soaps have a very creamy, luxurious lather and sophisticated aroma, with each bar having intricate swirled patterning. I love the way these are wrapped! Great job!